READY NOW! Enjoy low maintenance living w/the feel of a single family home, tucked away on a residential street just off Bayshore Blvd. 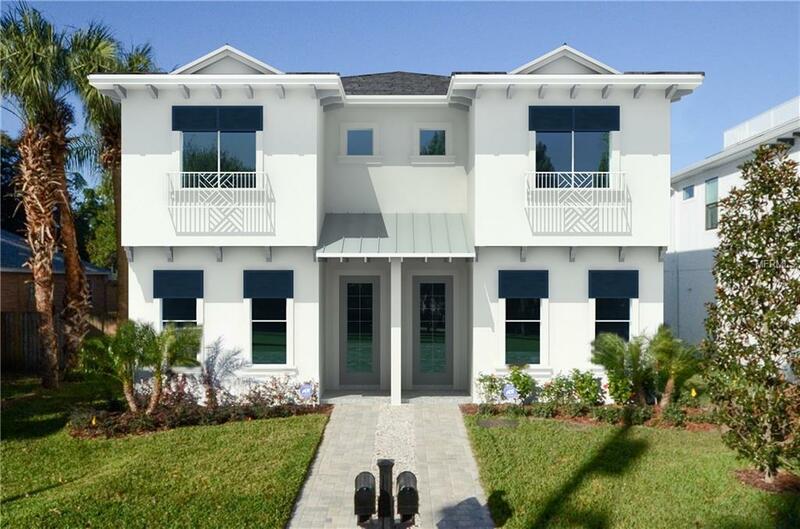 Walk to Hyde Park Village & Soho in one of the most coveted neighborhoods of South Tampa (Mitchell/Wilson/Plant district). Unique large 2 story town-home w/4 BR in main house. Rear entry GARAGE & driveway W/GUEST HOUSE ABOVE (Kitchenette w/Fridge/Dishwasher/Microwave - Main living area & Bedroom/full bathroom). Stunning Great Room w/Boxed Beam Ceiling, Gas Fireplace w/marble herringbone surround & Built in shelves. Enjoy a 200 + sqft COVERED PAVER CLAD OUTDOOR LIVING ROOM WITH OUTDOOR KITCHEN & WATERFALL. Included features; IMPACT WINDOWS, grey toned HARDWOOD THROUGHOUT, Gas Tankless Water Heater, Crown Molding, 8' doors, Cable Stair Railing & Chrome Hardware. Kitchen includes upgraded Viking Appliance Package (French Door Fridge, Double Ovens, Dishwasher & Drop in 5 cooktop), Wine Fridge, Under cabinet lighting, CONCRETE FARM SINK, Custom White Shaker Cabinets stacked to Ceiling w/soft close drawers/pull-out dbl trash can) & WALK-IN PANTRY. Master Suite w/Tray ceiling & Large Closet w/custom built ins & Marble Clad Bathroom w/Free Standing Tub. All Bathrooms include Chrome Fixtures & an array of designer tiles. Laundry Room w/Cabinetry & Sink. Home comes w/10 year structural warranty. Photos are from previously built homes & may show differing layout & finishes. Buyer to verify all pertinent info. Renderings are for artistic purposes & should not be relied upon.